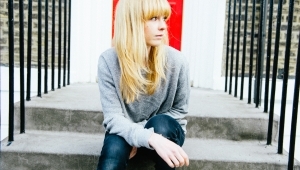 Lucy Rose recently performed a selection of tracks for BBC Radio 1's Piano Sessions, including a cover of Shakin' Stevens' "Merry Christmas Everyone" with Rae Morris. As well as the festive jingle, Rose also covered Louis Armstrong's perennial heart-warmer, "What A Wonderful World", and her own single "Our Eyes". Check out all three performances below. "What A Wonderful World (by Louis Armstrong)"